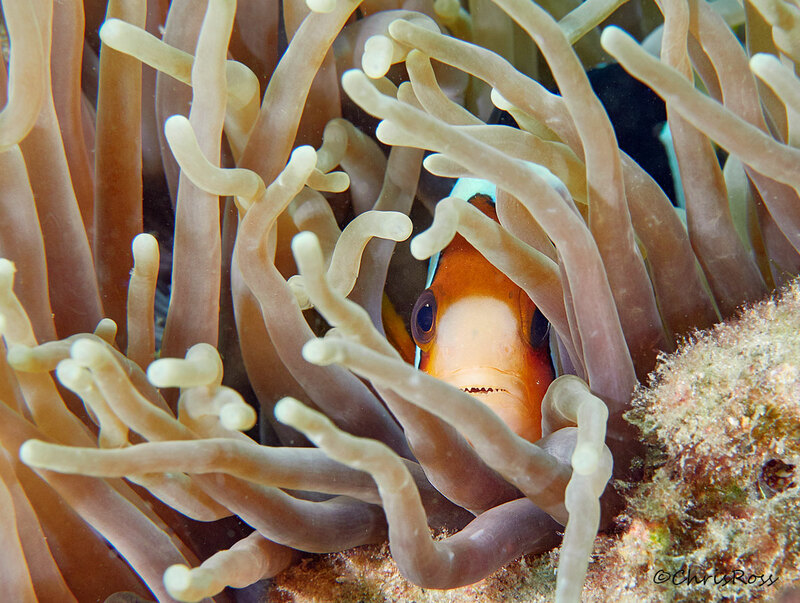 An Orange fin anemone fish peers out from the shelter of it's anemone home. Picture taken diving in Lembeh Strait with Diver's Lodge Lembeh. Succeeds as a behavior illustration, but it's a fine portrait as well. I love this hiding fish image. the surroundings work add to the composition as well.